Feedback requested for the discernment blog relaunch! It has been a long time since I have blogged here regularly; I put aside a lot of my writing for the past couple of years. As of mid-summer, I am gradually moving back into blogging here regularly. It might take a bit of effort for me to fit blogging consistently back into my schedule. Right now, it feels a bit like coming out of a tunnel, as writing helps me to see and connect with myself and with the world in a unique way. The blog itself might change direction a bit, but a lot of that depends on you. One of my biggest hopes for this blog is to be more interactive as a community—whether we can do that here, or perhaps on another social media platform. 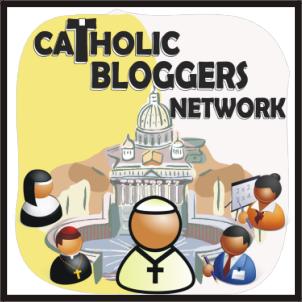 If you find this blog helpful and you would like to ask questions and share insights with me and with others who try to make discernment a way of life, please let me know! You can always contact me here with your questions or comments. But this week, I’d be delighted if you would vote on what social media platform(s) you would like to use for an online discernment mini-retreat, a guided lectio divina, or a simple conversation about discernment. Our blog re-launch will begin with prayer. Tomorrow evening, I begin my annual eight-day retreat, and I would be honored to pray for you and with you. If you would like to share your prayer intentions so that I can pray together with you by name and specifically with your intentions, leave a comment below, contact me here, or simply email me at SrMariePaulCurley @ gmail.com (just take out the spaces around the @ sign when you email me). Know that whether or not you send in your intentions, if you are reading this, I will be praying for you during my retreat in a very special way. I am looking forward to seeing you here!